Among the audiences Marsh Global Consumer deals with, are Alumni Associations. 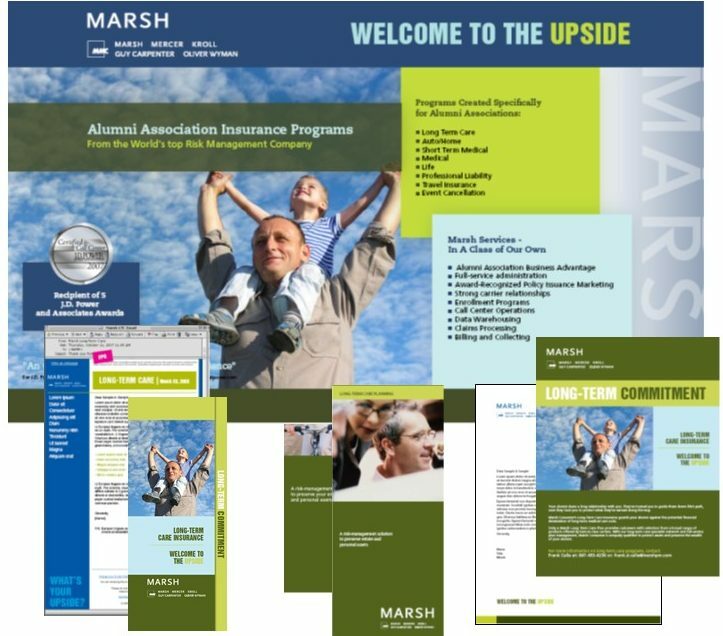 They provide insurance products to the associations to offer their membership. The Alumni Association marketing group asked Cliff’s Edge to provide an advertising campaign for promoting the group’s Long-Term Care product before, during and after the show. Cliff’s Edge created a branded campaign, that coordinates magazine ads and an introduction letter sent before the show, a trade show booth, product brochures and show handouts, as well as an e-mail blast to be sent as a reminder and follow up.